I, too, woke up this morning and just wanted to stay in bed. It’s pretty normal, when you wake up to the sound of rain and traffic hitting the wet roads outside of your window. But I also woke up to the sounds of little voices. 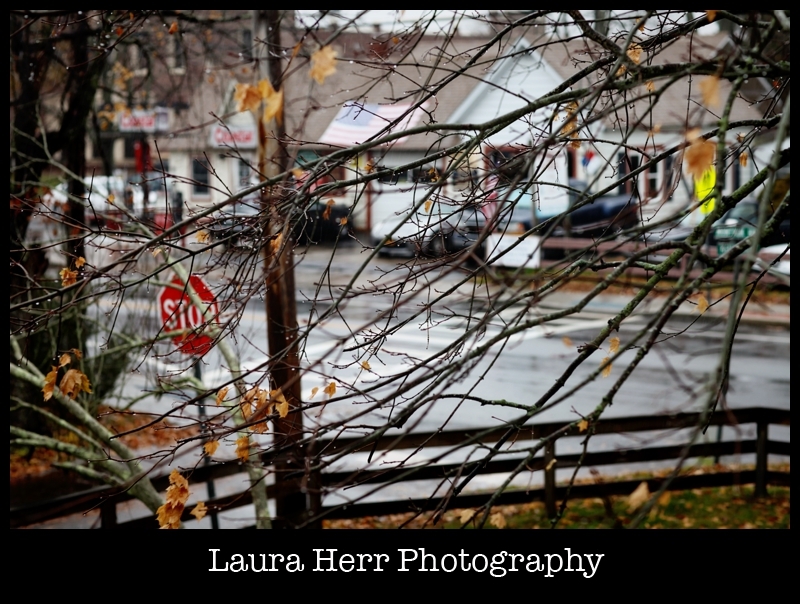 And so I opened my blinds and peered down to see our beautiful kids, raking leaves in the rain. A few weeks ago, Jeremy told Christian he would pay him $20 to rake all the leaves in the front yard. It’s a pretty huge job if you’ve ever seen the massive tree that we have. Anyhow, Christian readily agreed. And he’s been sporadically raking ever since. Upon hearing that we might be getting some snow tonight, Christian knew that he needed to get going and finish up the yard. 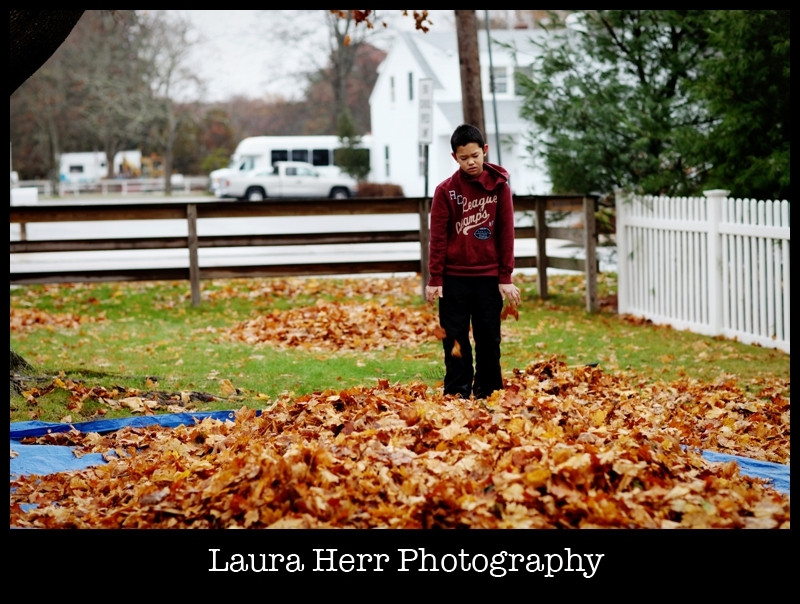 So he woke up early, on his day off from school and somehow convinced his little sister to join him in the cold rain, to try to rake up the rest of the leaves. 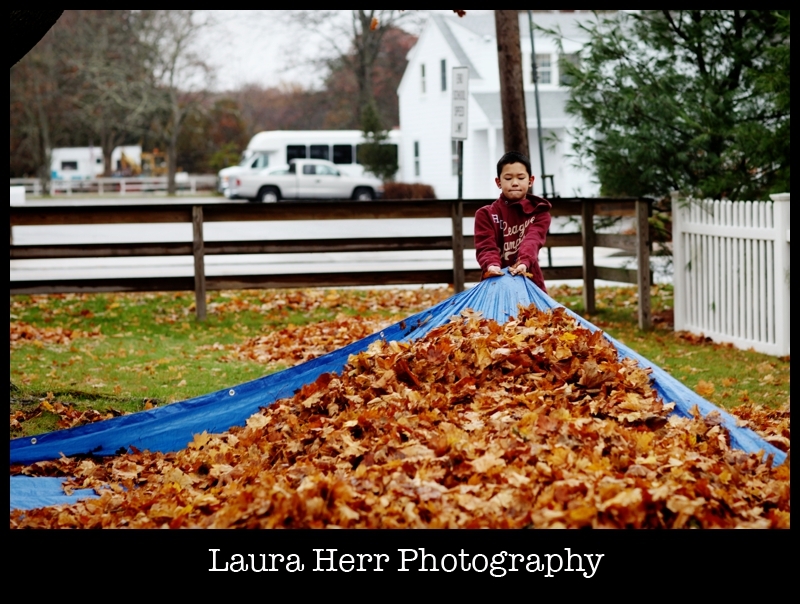 When I saw his tarp full or wet, heavy leaves, I told him that it would be too heavy to move. But he was determined. And so was his little sister, still in her pajamas and somehow operating throughout the morning without her glasses. They managed to move those leaves quite a distance, before their Mama felt sorry for them, and bundled up to head outside to help. 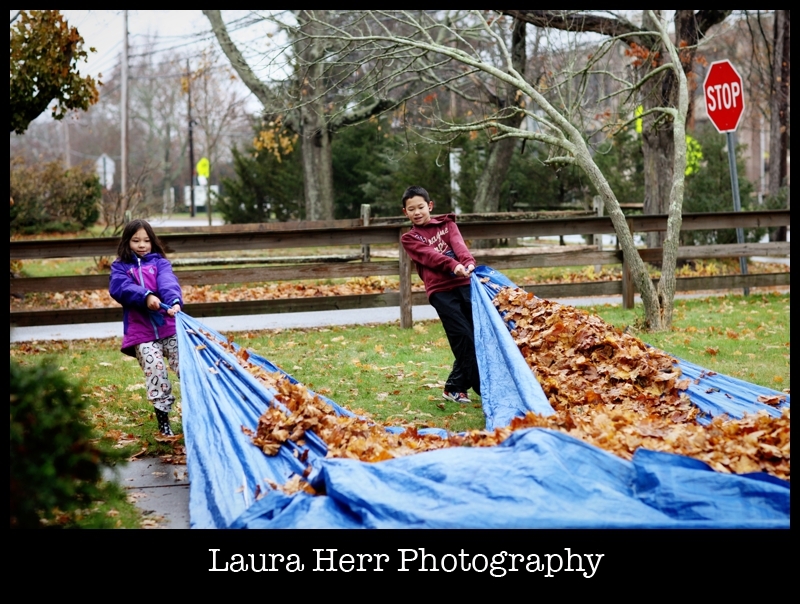 Working together, we got most of the leaves raked up, before the wet rain and cold sent us indoors to warm up. It was a cold, but fun start to our Thanksgiving weekend. And it was cute and inspiring to see our kids working hard and taking initiative.